AMG Boss Criss Waddle’s Ex-girlfriend Yaa Mary who attempted to commit suicide when she got dumped is now dating popular Ghanaian gospel musician, Ernest Opoku and she has dropped some wild allegations against the musician. 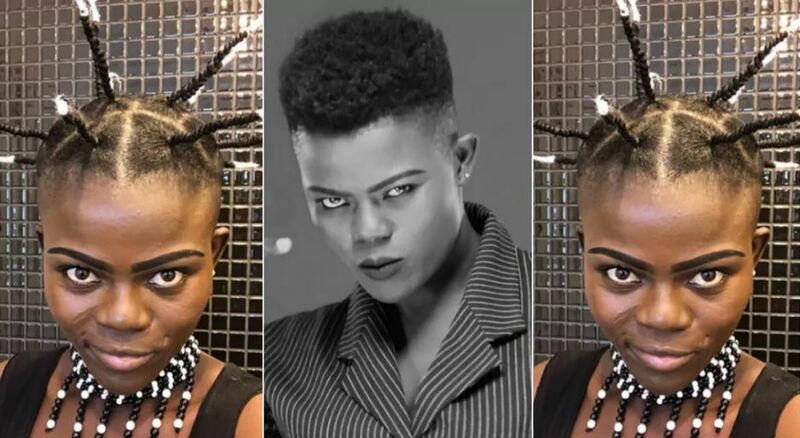 According to the 21-year-old Yaa Mary, she has Terminated 3 babies for the Gospel singer but he rains curses upon curses with the name of deities on her at the least misunderstanding. She claims recently they had a fight and after usual curses and insults, Ernest Opoku, the same man she has had 3 ab0rtions for called the police to arrest her. Mary Waddle claims Ernest Opoku paid money for some CID officer to come and intimidate her but she refused to be intimated by the officers. Mary made these shocking revelations when she called Nayas, Ernest Opoku’s troublesome ex-girlfriend to plead with her to forgive Ernest Opoku for everything he ever did to her when they were dating.